It's almost here, growing a tiny bit warmer and brighter each day. The spring collections may have been on the racks since January, but it wasn't until the first day the temperature crept above 50 degrees that I had any interest. But now that the crocuses are pushing through and it seems the snow may have melted for the last time, I have become fully invested in spring fashion, and floral. Having not a single floral print skirt to my name, that was at the top of my list. I found this tiny print black, red and lavender cotton skirt at TJMaxx for $13. While in TJ's, I also found this cute turquoise and pink floral peplum dress for $20. 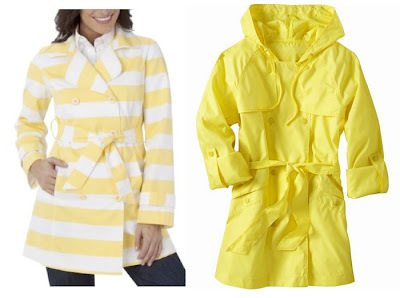 Finally, I chose this super bright yellow jacket with a ruffled collar. My sister tells me I look like a clown who had 'an incident' with some mustard, but I disagree -- I think I look like a daffodil. Either way, this so fun and so spring! It is by Vertigo Paris and was $40 at TJ's with an MSRP of $310. My favorite part about the coming season change used to be my least favorite - the clock change. Sure, you lose an hour, but the evenings are brighter. It won't be dark when I get home from work - and maybe I can start taking outfit photos after work!!! Also something to look forward to, my very first give away will be posted on Friday! Hi! I just stumbled across your blog! It's pretty awesome!! I love that skirt by Shade you posted and I was tempted to snag it. But I noticed the xs and s were sold out so that's money I'm keeping in my pocket. Beautiful looks you put together! Do you want to exchange links? && I could go and exchange the jacket but the mall is so far away and I'm not 100% quite sure how to get there without my mom.. haha. So glad you were able to find a pretty yellow jacket! Anna is too funny. Oh I loooove your outfit. 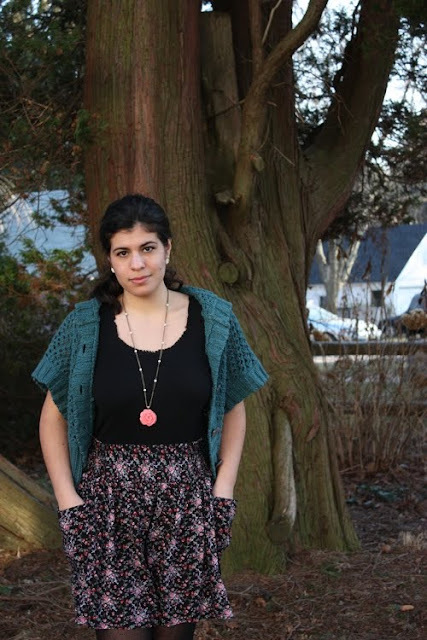 The shape of the cardi and skirt work together so well, as do the colors! 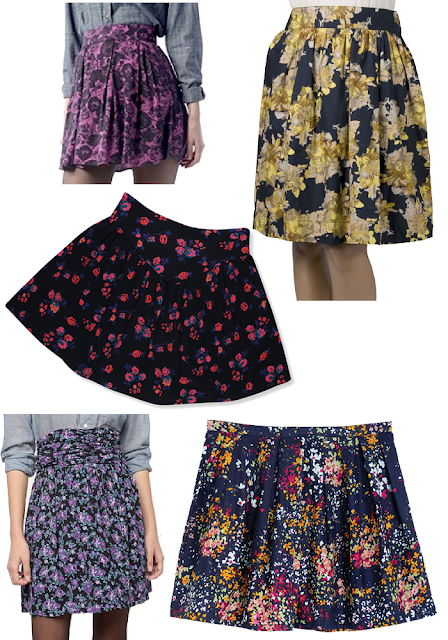 cute pieces, I could live in my floral skirt. I love floral all year round but Im super excited for spring! I can't wait to see the floral dress styled up for summer! I absolutely LOVE florals, good choice! The coat is cute too, especially paired with the tights and boots. ooh, i love the dress and i love TJ's! i found your blog through a comment left on "diamonds and tulle" and i've got to say i love your taste in music. Float On - Modest Mouse"
I love the yellow rain coat!! I thrifted a yellow rain coat last year and it's strange.. you'd think they'd be easier to find! Love the ones that you came up with! 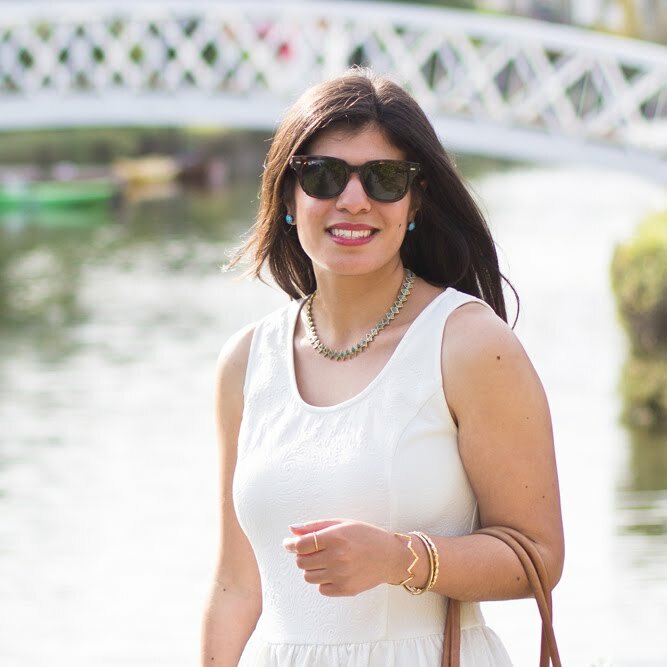 I just found your blog for the first time (obviously) and I have to say, I LOVE IT! I just spent a good 30 minutes looking through your posts and admiring and drooling over your clothes!!! I love this post, in particular, though! I love all the inspiration you gave me- that floral dress you pictured yourself wearing is SOOOOO cute. I honestly want to go out and buy it this second. And thanks for all the other ideas too :)! Great coat! It has been raining here none stop for 3 days and I am really wishing I had a cute coat like that to wear outside...it would make the rain not seem so bad. You look so great in that floral dress too!